How many times have you attended a regional truck show to connect with industry leaders – only to find out they didn’t come or couldn’t meet? The North American Commercial Vehicle show is different because it’s designed for the commercial vehicle industry. Its a chance to network with the industry’s most influential leaders and executives – and see the latest innovations before they come to market. 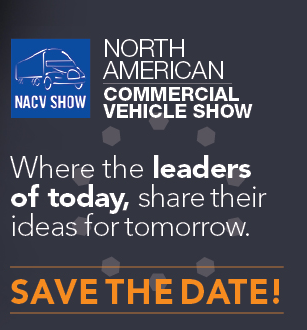 Join us for the first-ever NACV show at the Georgia World Congress Center in Atlanta. Discover how you can unlock the full power of your trucking company with technology, best practices, and insights you won’t find anywhere else. This is a show you’ll want to be at! www.automotive-technology.com - Fully owned by Ochre Media Pvt. Ltd.